Michael Cartellone is a class act. The drummer for the legendary southern rock band Lynyrd Skynyrd for the past 11 years, he's been painting since he was 4 years old. Many of those paintings, a lot of them with a rock theme of course, were on display Sunday at Wentworth Gallery in the King of Prussia mall. 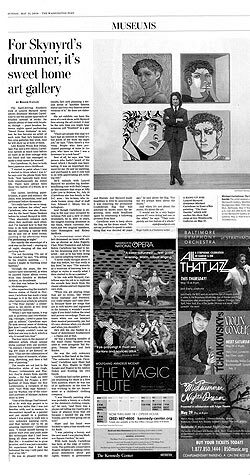 I had the pleasure of interviewing Cartellone for a preview story on the event, which appeared in the Ticket entertainment section of Montgomery Newspapers a few weeks ago. Cartellone was just as pleasant and accommodating in person as he was on the phone during the interview. He had a lot of family and friends at the exhibition with him, including his parents, and spent a lot of time talking with fans of his music and art during the three-hour event. One of Cartellone's pieces, titled "New York," features a likeness of his father, Joseph. The fan that purchased the piece at Wentworth on Sunday got both the artist and his father to sign the artwork, creating a uniquely one-of-a-kind aspect to the painting. Michael's father, Joseph, personalizes the piece. 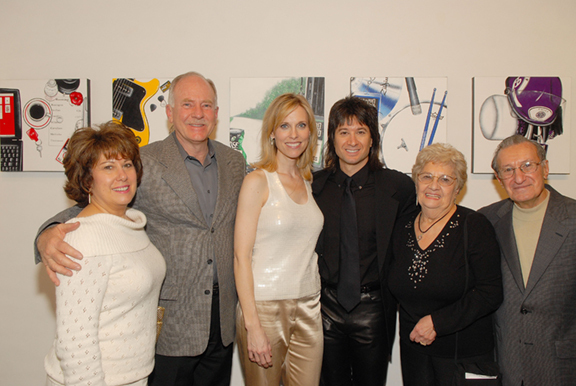 Wentworth has in the past hosted exhibits by Paul Stanley, lead singer of KISS, and actress Jane Seymour. 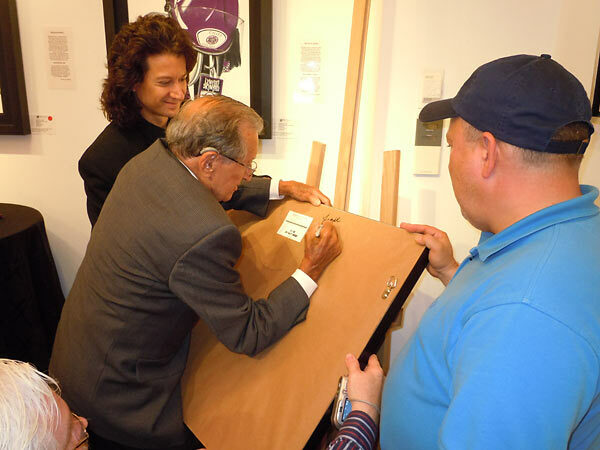 Gallery director Tom Curley always hosts a nice event for local fans and art aficionados and makes sure they get some face time with the artists when they purchase a piece of art. On that particular Sunday afternoon in June, Cartellone plus Curley equaled . . . cool. 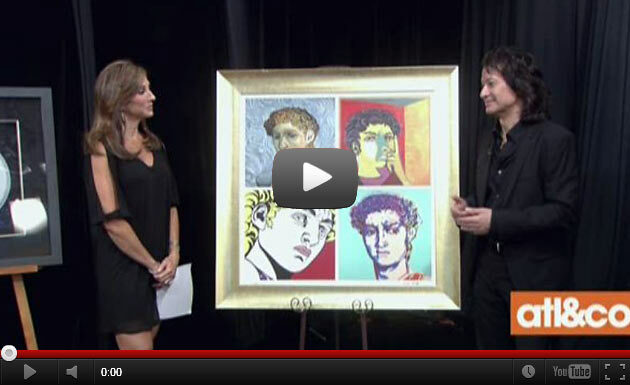 CNN Interview: Rockin' The Canvas. 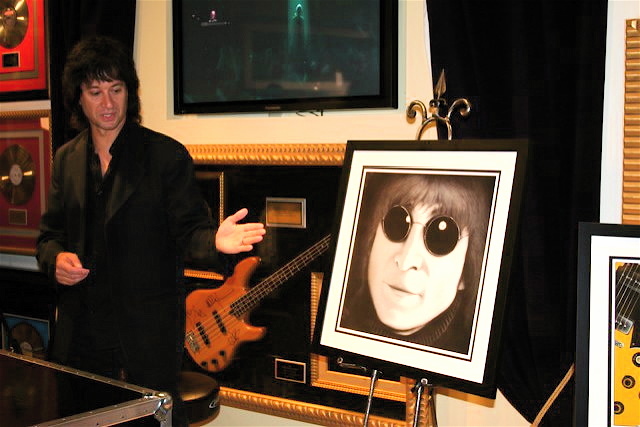 Located in Phoenix, Arizona the Rock Star Gallery is a well known and respected art gallery which features music themed artwork by some of the most famous names in the business. 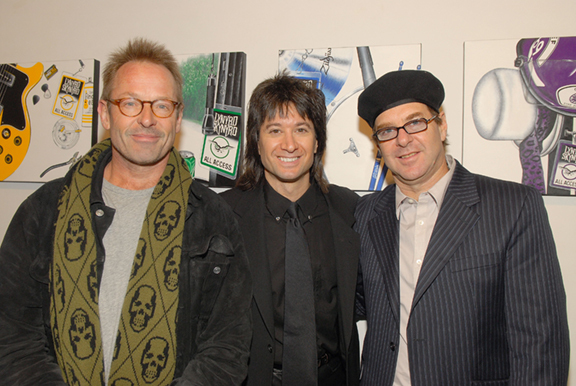 On August 30, during a Lynyrd Skynyrd tour stop, Michael (joined by his bandmates) was honored at an opening reception for his artwork. On January 19, 2006 Michael had his debut into the New York art world at Grant Gallery in Soho. The opening was a jam-packed event, with people representing the art, music, sports and entertainment fields. The Road Series Paintings and John Lennon portrait were on view. 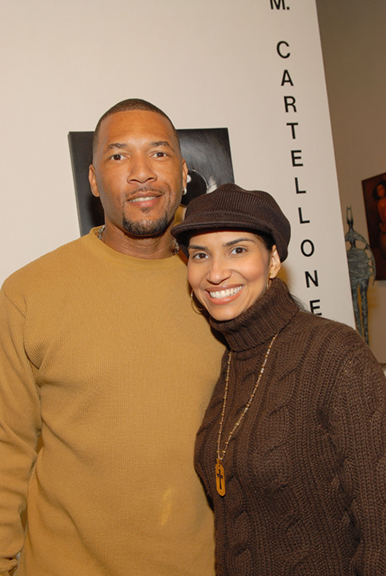 "The Opening Night Reception was an incredible event," says Michael. "To be supported by family and friends like that, was very touching. Also the press and reviews were very supportive which was encouraging as well. I can't imagine a better debut into the New York Art World." 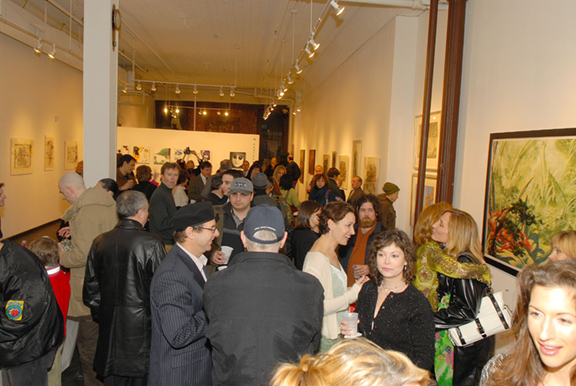 The show was strongly supported by the media: ARTNews Magazine, Jan. 2006, Gotham Magazine, Feb. 2006 and FineArts Magazine, Spring 2006.